When we think about holiday spending, often our thoughts turn to how much we will be spending on gifts for the kids, close friends and family. We might even have a budget and spending limits set for each person. This is a good start, but we often forget the costs associated with other aspects of the holidays, specifically the holiday party. Whether it's a work-related function or a personal party, most of us feel the pressure to attend and to look good. In fact, a holiday survey done by President's Choice Financial indicates that social media has ramped up the pressure in terms of attendance and the attire we wear. According to the survey, one-fifth of Canadians aged 18 to 34 would rather go into debt than to miss a holiday party, 66 per cent of this same demographic likes to spend money on new clothes for parties. So how can we get our holiday budget to stay in line for both gift giving and parties? 1)	Start with a holiday spending budget. Know your limits and keep track of your spending, including holiday outfits, hostess gifts and transportation to and from parties. Seventy-seven per cent of Canadians surveyed feel that the holidays are more expensive than they expected; keep your expectations realistic. 2)	Consolidate your spending. Fifty-three per cent of Canadians surveyed say that spending money in different places during the holidays makes it difficult to know how much they spend overall. Try and use the same credit card for all your purchases to help you keep track; making a list before you head out is also helpful. 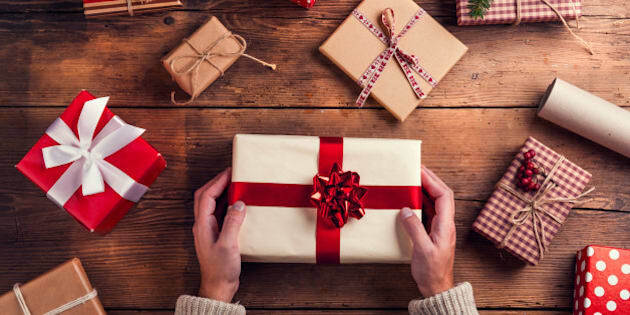 3)	Make sure you're buying the right gift for the right person, so you're not spending money on something that won't be entirely appreciated or utilized. Forty-three per cent of Canadians surveyed believe crowd sourcing for gift ideas is a good idea. Try it out. 4)	Manage your children's expectations. Today more than ever, thanks to social media, kids are very aware of what their friends are receiving as gifts. Have the conversation with them early in terms of what might be on their list and what Santa might bring to help avoid Christmas morning meltdowns. Resist the urge to go into debt for that one special gift, or make a conscious effort to cut spending somewhere else. 5)	Fifty-one per cent of Canadians surveyed say they will dip into their savings over the holidays. Before your bank balance starts to decline, check your reward points balances from your credit card or favourite stores; when you redeem them for gifts, clothes and other holiday related items, that's real money you're saving. Above all, it's important to remember that the holidays are a time to get together with family, with or without the fanciest outfit or the most expensive gift. Take some time to appreciate each other by going for a family hike, relaxing over hot chocolate or scrolling through holiday party pictures together. From Oct. 12 to 13, 2016 an online survey was conducted among 1,522 randomly selected Canadian adults who are Angus Reid Forum panelists. The margin of error -- which measures sampling variability--is +/- 2.5 per cent, 19 times out of 20. The results have been statistically weighted according to education, age, gender and region (and in Quebec, language) Census data to ensure a sample representative of the entire adult population of Canada. Discrepancies in or between totals are due to rounding.